Fogg Lighting has been in business since 1994 providing residential lighting products, lampshades and expert consulting services. We are committed to providing 100% customer satisfaction. Fogg Lighting is the place to shop for distinctive, timeless lighting for your home or business. Our ALA trained Lighting Specialists and Certified Lighting Consultant are on hand to help design your lighting plan. They are constantly updating their knowledge to keep abreast of the latest technology and are here to assist you through every phase of the lighting project including fixture selection. 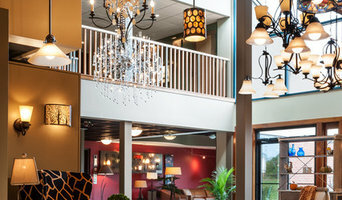 Located at 281 Marginal Way in Portland, Fogg Lighting’s showroom displays all types of lighting including chandeliers, wall sconces, pendants, track and cable systems, exterior lighting and landscape lighting. In addition there is a great selection of table and floor lamps and lampshades. Debbie Fogg, who with her husband Sanford, owns Fogg Lighting in the Bayside neighborhood of Portland. She finds working with clients to be the most fulfilling part of her job. “I love guiding people through the process of lighting their homes. It isn’t easy, so if a client starts to feel overwhelmed, I encourage them to make one major lighting fixture decision. The rest falls into place once you have the ‘keystone’ piece.” When asked what kind of fixtures she finds the most versatile she says, “I love glass fixtures in all sizes and shapes. They can be warm and glowing like amber or sparkling and translucent like crystal.” Please contact us today! We would love to help you with your next project! The House of Lights is Maine's premier retail residential Lighting showroom, with 70+ manufacturers, from light bulbs to fixtures for any room. We also have recessed, portables, shades, wall control systems, fans, furniture and home accessories.Customer service friendly ALA certified staff. We're here to answer all of your lighting questions, please give us a call-we'd love to hear from you! Greg Day Lighting is a full service architectural lighting design, landscape lighting design and daylighting design office. We are based in Bath, Maine and New York City. We work on projects throughout the United States including Maine, the greater Boston area, New York City, Philadelphia, Washington D.C and California among many other locations. Custom lighting fixture design and manufacturer. From “spark” to finish, we work with clients to design and build the perfect art light (floor or table lamp, pendant, sconce, chandelier. . .) for home, hotel, restaurant or office. Crescent Harbor is the new online presence of The Lighthouse, based in the historic seaside hamlet of Kennebunk, Maine. The Lighthouse has been in business for 35 years and is in the second generation of ownership. TRS Lighting is a professional lighting design and consultation company located in southern Maine. 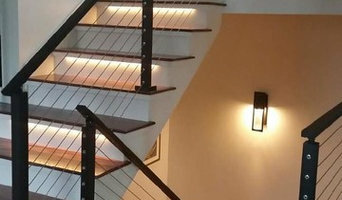 Owner Timothy Staples has over 20 years experience in both residential and commercial lighting design reaching from Maine and coastal islands, across New England and across the country. We are client-driven and tailor our recommendations around our client’s goals and aesthetic. Whether your style is modern or classic or anything in between, good lighting does not have to be expensive, but it does require thoughtful, knowledgeable planning and execution. Barbara Gail's Lamps designs and makes custom fillable glass lamp bases and is the leader in handmade, cut and pierced paper lampshades. Each lamp is hand made to order and every lamp shade is designed, hand made and signed by Barbara. Coastal themed lamps are her specialty. Whether you're looking for an accent light for your living room, lighting a new addition or an entire home we can offer you the fixtures you need. From affordable lighting solutions that look like they’re high-end to handmade lighting fixtures that look like works of art, MaineLights has the product selection you need to decorate your home just the way you want. Think about how you plan to use each area of your Portland, ME home. It's important to communicate to your Maine lighting designer which space will be used as an office and which will be a media room, for example, as these will require very different lighting methods. In addition, consider how you'd prefer to control the lights. Lighting technology today includes dimmers, sensors, photocells (that let lights react to the amount of daylight in a space), programmable scene controls (that let you program different settings for varied lighting) and whole-house lighting controls (that let you control all or a portion of your home's lights from one source), allowing you to tailor your lighting controls however you wish. Find a lighting designer on Houzz. 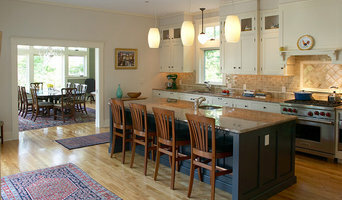 Narrow your search in the Professionals section of the website to Portland, ME lighting designer. You can also look through Portland, ME photos by style to find a lighting design you like, then contact the designer.